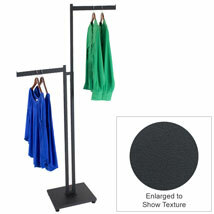 Floor standing 2-way clothing rack in modern matte finish! 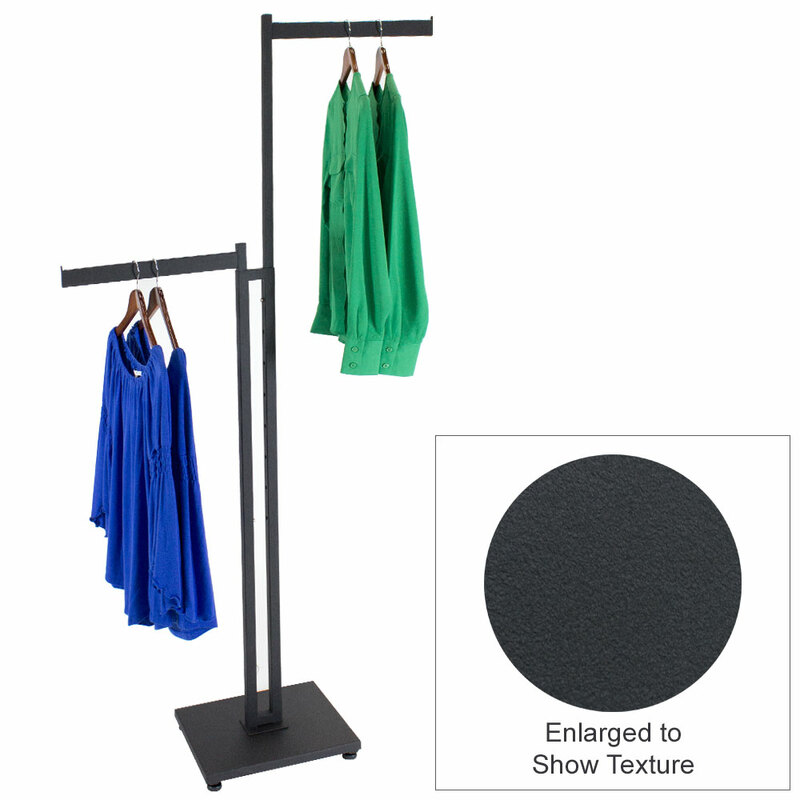 Made with matte black textured powder coated steel, this 2-way retail clothing rack is an excellent addition to your shop. Features 3/4 in. square tube body and 16 in. straight arms. 8 adjustable settings for each arm allow height to adjust from 49 ½ in. to 72 ½ in. 15in. x 12in. Heavy-duty base and levelers provide extra floor support. For even more offerings, we encourage you to take a moment to peruse our thorough assortment of retail clothing racks for sale at Specialty Store Services today.